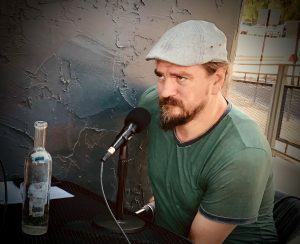 This week we chat with actor Charlie Halford (True Detective, Constantine, Rectify, The Walking Dead, and in theaters this week Bad Times at the El Royale.) We talk about growing up in Utah, doing anything for attention, and we receive a text from Donald Trump while on the air! This entry was posted in Podcast Episodes and tagged Bad Times at the El Royale, Charlie Halford, Constantine, Rectify, SuperGirl, The Walking Dead, True Detective. Bookmark the permalink.